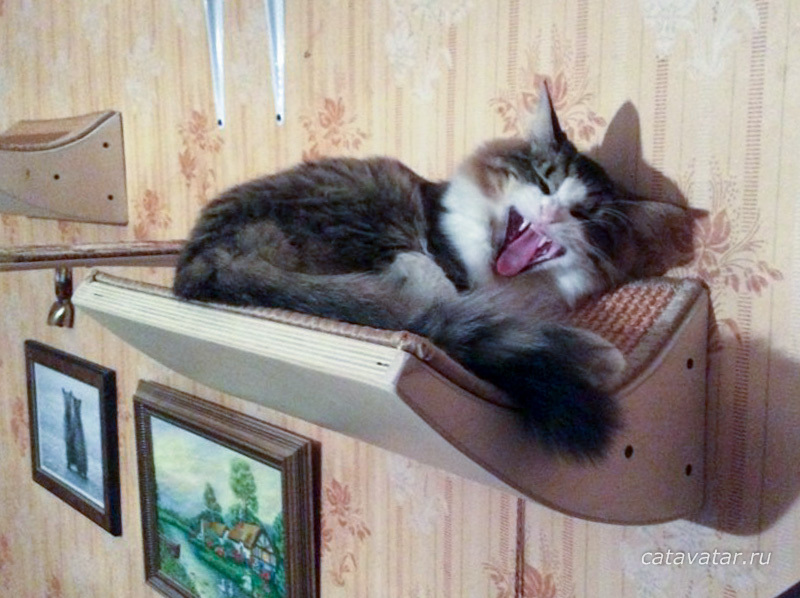 Thanks to the well-chosen form, cats love to use the shelf as a resting place. 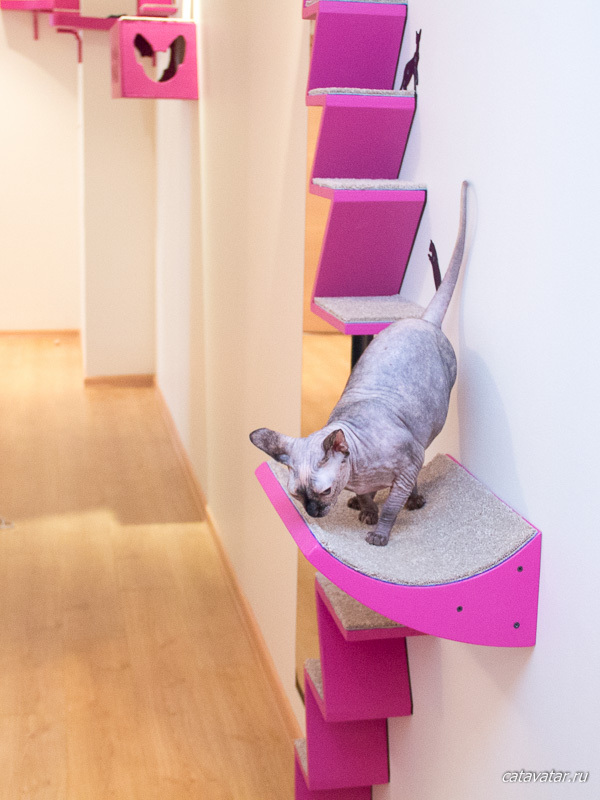 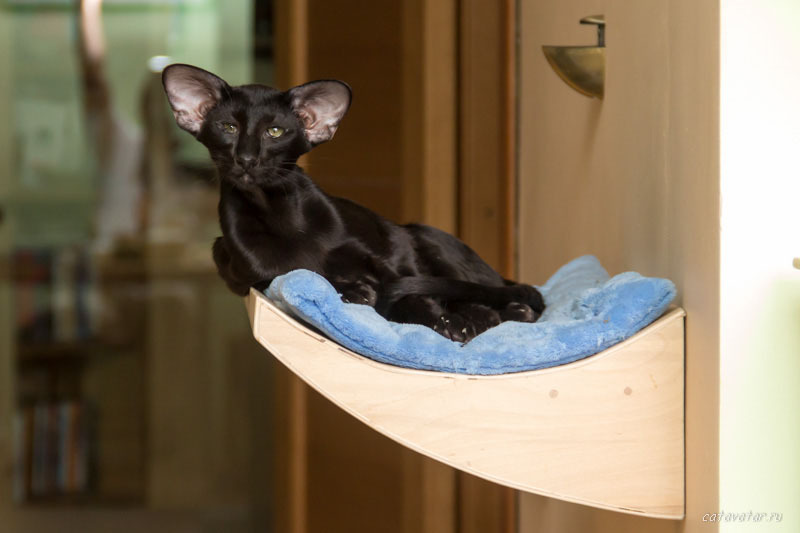 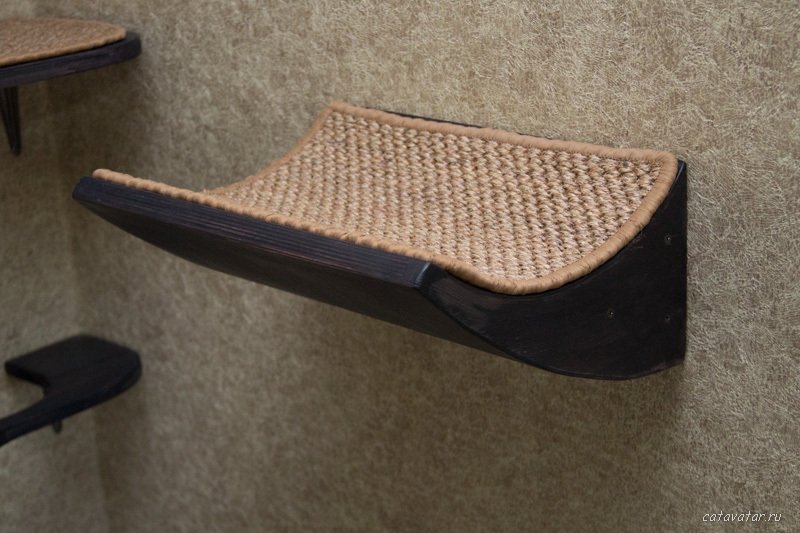 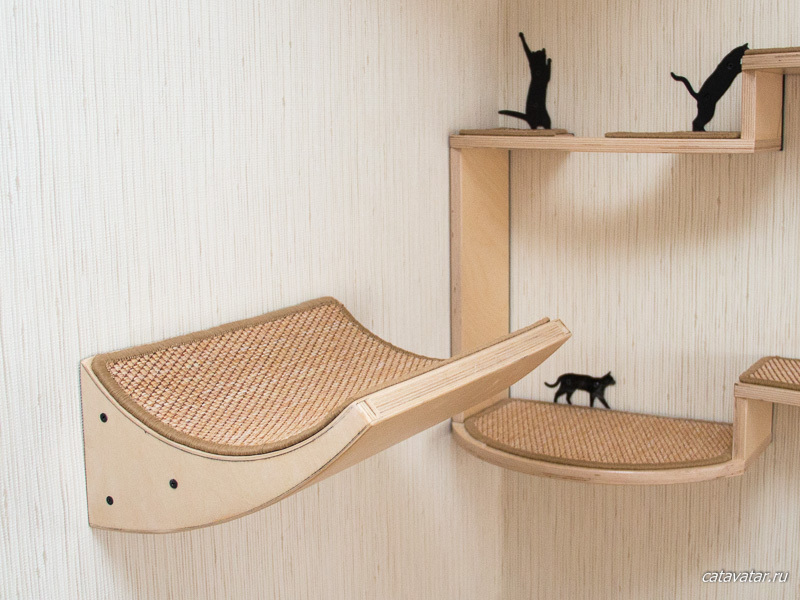 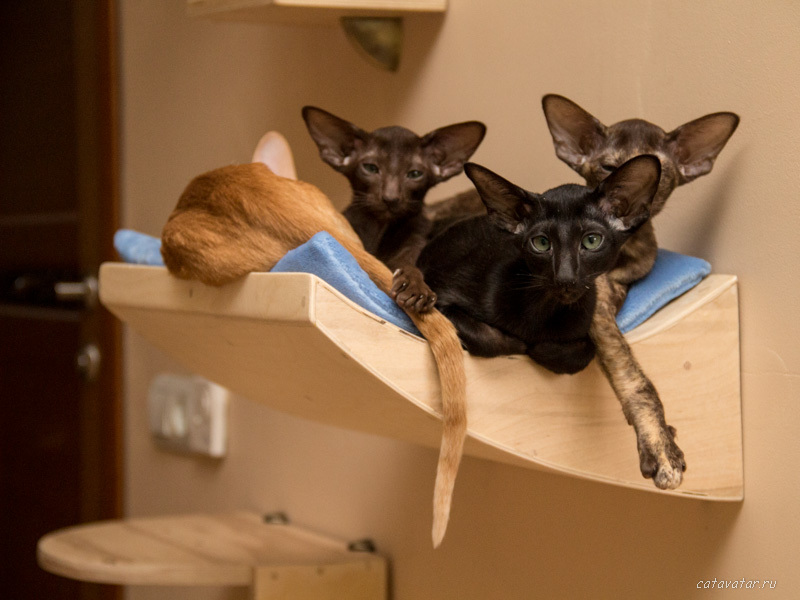 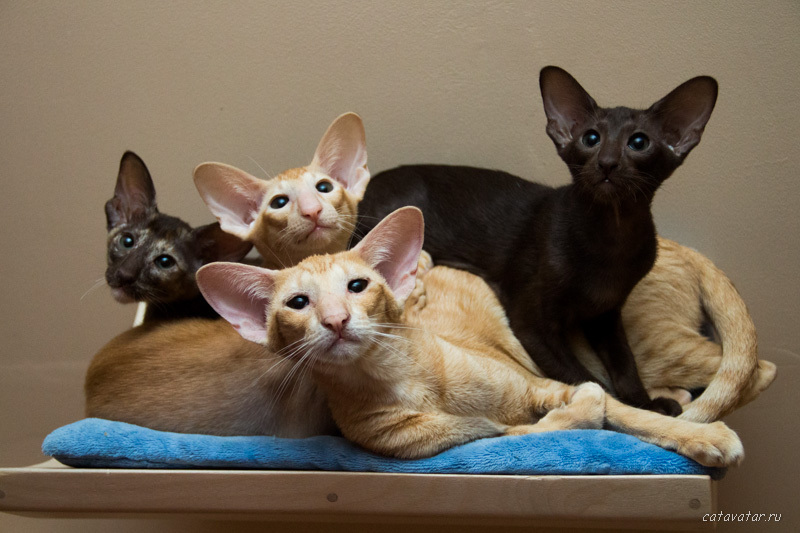 Curved shelf is used independently or may be part of a complex for cats. 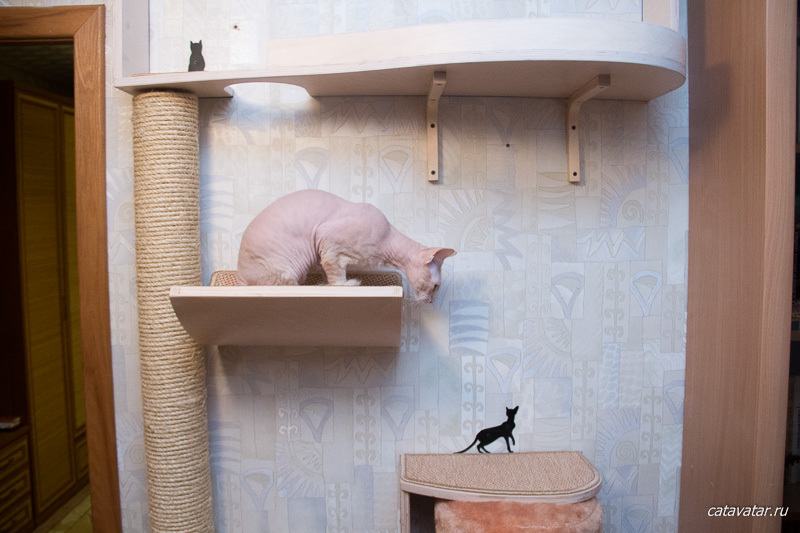 We recommend hanging it to a height of about one meter from the floor. 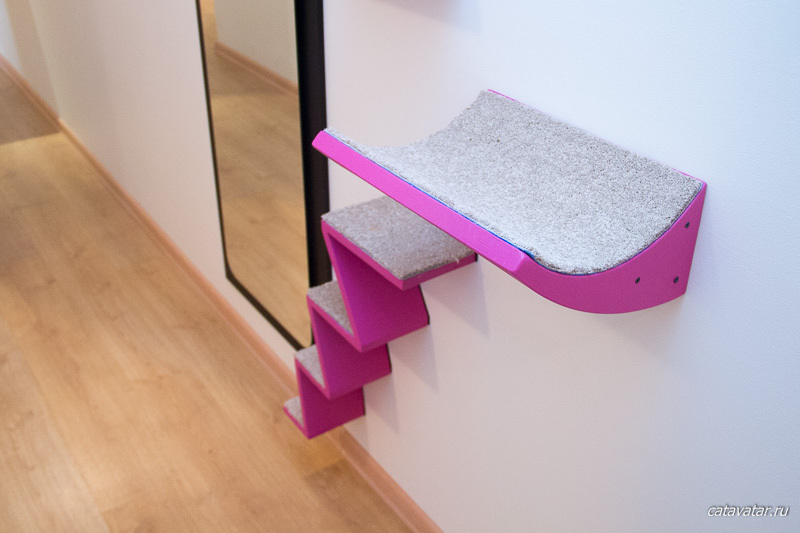 But be sure to make sure that the cat was comfortable to get on this shelf. 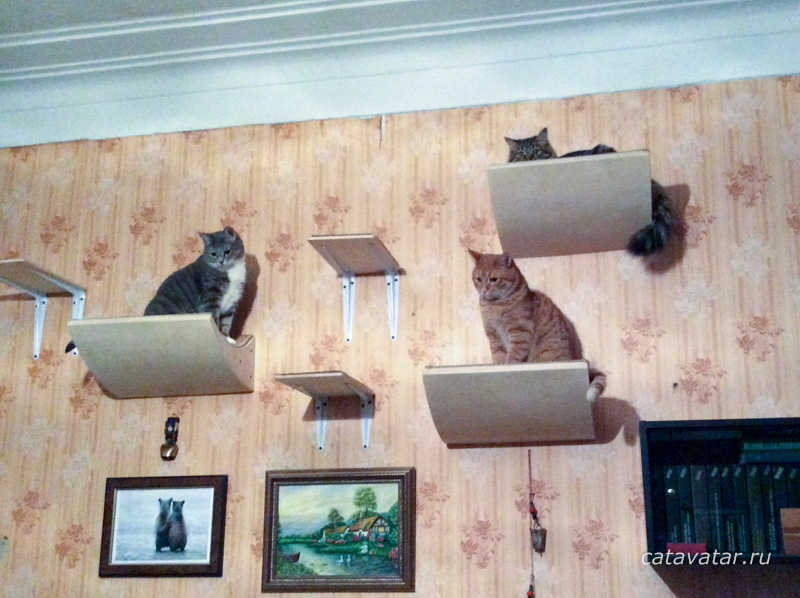 From the shelves you can independently make a complex. 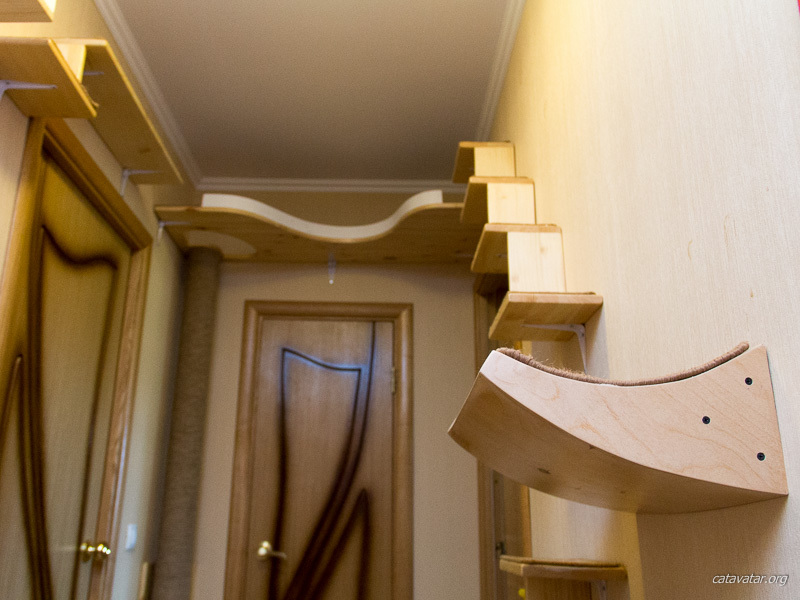 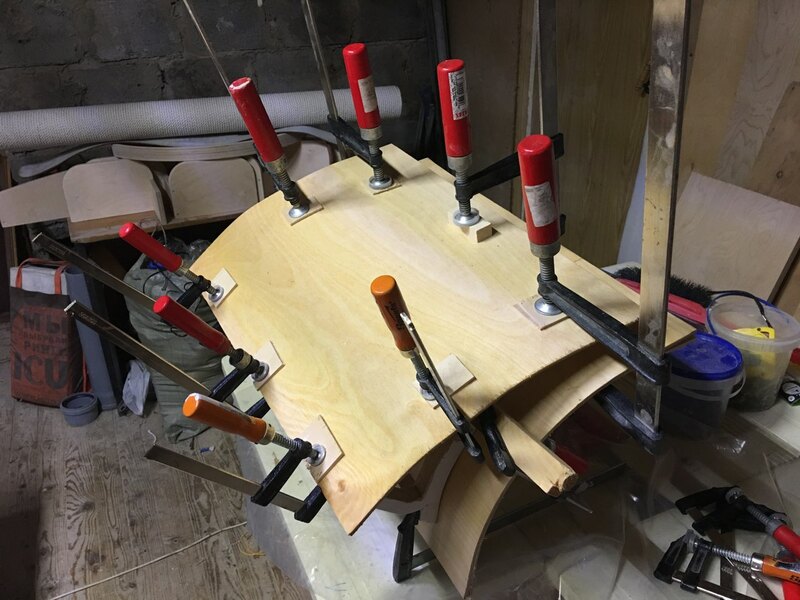 Each curved shelf for cats is made by hand. 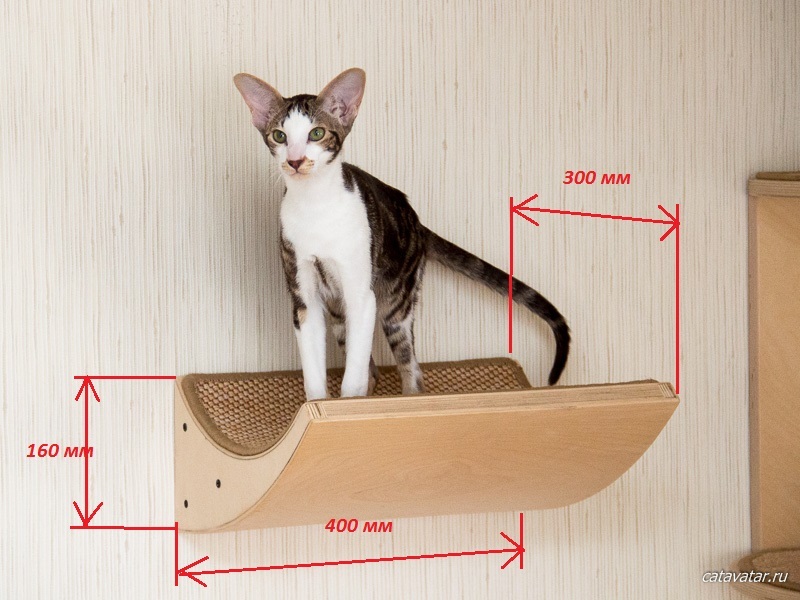 The cost of the "Curved shelf for cats" was 55$.